It is such an honor to write a testimonial for Dr. MacKoul!! 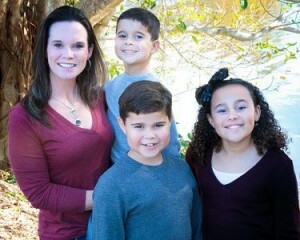 My 3 children have been patients of Dr. Annette for over 7 years now. We all adore and respect Dr. Annette and her staff at MacKoul Pediatrics, Fort Myers!! Dr. Annette is kind, caring and compassionate, in and outside of the office. Dr. MacKoul is not only the best pediatrician in town, but she has a heart of gold. She is so giving, generous, and real! Her care extends further then the walls of her office. The care and attention that my children and I receive from her is outstanding. Dr. MacKoul always listens and pays attention to everyone in the room. She never rushes through appointments, and encourages my children to be a part of their own health. She is truly invested in my children. With Dr. Annette, we feel like we are treated like we are a part of HER family. She has the ability to answer difficult questions, support me as the parent, and provide feedback for the health and well-being of her patients. She is one of my angels on Earth!! !